When the winter storms hit we are ready. 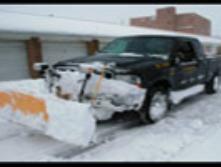 Our fleet of snow plows, front end loaders, hauling trucks and ground crews are second to none. No job is to large or small for us to handle. We get the area clear and keep it clear. Our crews (plows, snow blowers and shovel crews) were out nearly 24×7 for 2 days taking care of our commercial and residential customers during the blizzard of 2010.